We often know to say that a dog is a man’s best friend. Generally speaking, all dogs are loyal. When you give them love, feed them, and walk them, a dog will return the love multiplied by 100000. With that in mind, some dogs are more loyal than others. We do not want to single out some breeds as most loyal dogs, but that is the reality we live in. Some dogs will love anyone who will give them a treat or something. But others form a special bond with their owners. 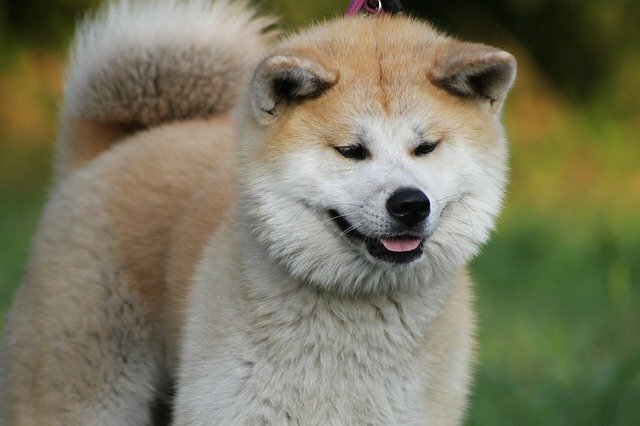 Anyone who has seen the movie Hachi: A dog’s tale, knows about Akita. In the movie, a dog becomes famous as the most loyal dog that has ever walked this planet. And in case you didn’t know, the movie is based on a true story. In the movie, a dog accompanies his owner to the train station every day. And when his owner dies, Hachiko waited at the train station every day for 10 years, until the dog died as well. With that in mind, Akita is described as profoundly loyal to their humans. The Akita is a working breed, originating from Japan, and has an affectionate and respectful character. They are utterly devoted to the family and can make great companions when trained properly. Another dog that earned his reputation thanks to a movie. If you haven’t seen Lassie, go watch it now. 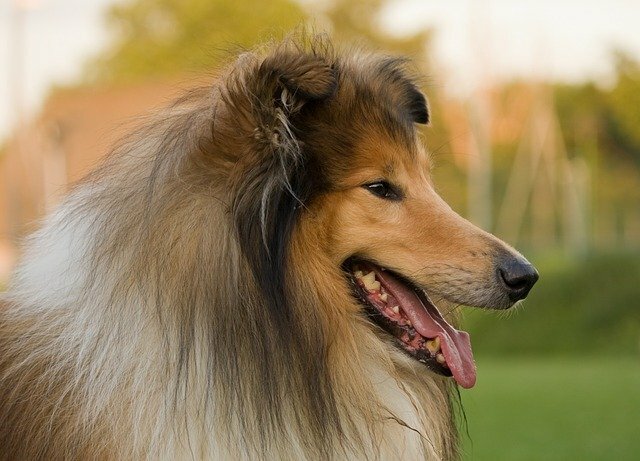 The Rough Collie is one of the most devoted breeds. Nowadays, this breed is also used as a therapy dog thanks to his amazing skills. The friendly dog is quite intelligent at the same time, able to learn commands, tricks, and how to please his master. The Rough Collie is not as popular as it used to be, but it is still a great family dog. They are amazing with children, but also other animals. Just remember, they can be very protective of their owner. You are hard pressed to find any negative regarding the German shepherd. 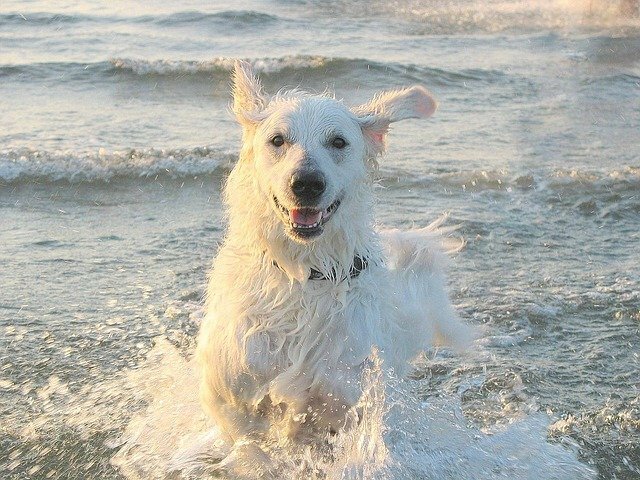 The dog is one of the most intelligent, most loyal, and easy to train dogs. 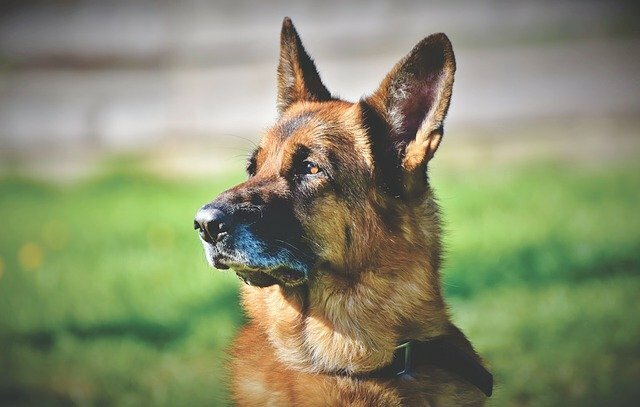 There is a reason why the German shepherd falls in the top 3 most popular breeds by the American Kennel Club for years. They are highly active dogs with a willingness to learn and serve a purpose. Their instinct to serve a purpose is what makes them easy to train and loyal to their owner. One downside, they can be overprotective of the family and territory. You need a strong guiding system to teach the German shepherd when you are in danger and when you are not. 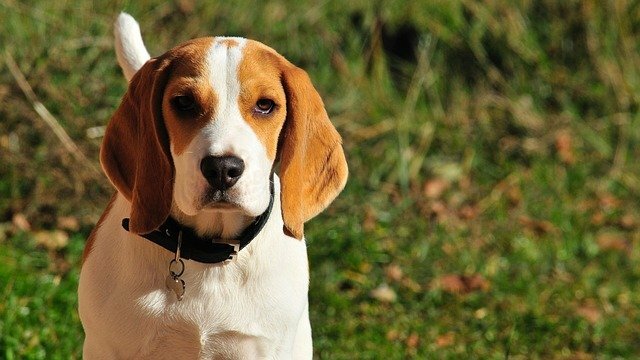 In the past few years, the Beagle has risen in popularity as a family dog. They come in two sizes, but no matter which one you choose, you are fine. The Beagle is highly energetic and requires a ton of exercise on a daily basis. Originally a hunting dog, the Beagle will follow his nose wherever it leads him. Sometimes, they can be stubborn, so even if you ask them to do something else, the Beagle might follow a scent. But do not worry, they are very attached to their owner. Simply put, the Beagle needs a companion. 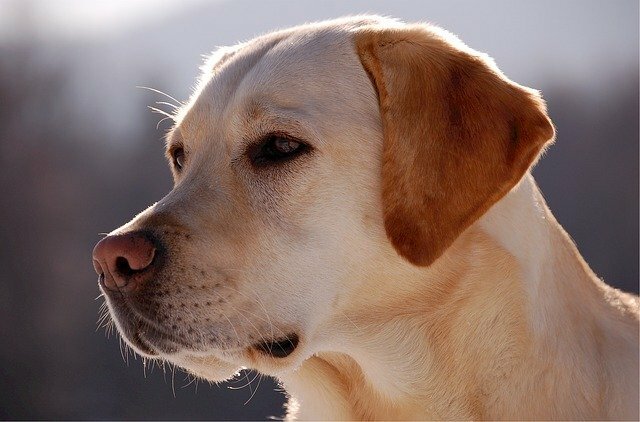 No list is complete without the quintessential family dog, the Labrador Retriever. He will always come back to you and will listen to any command you ask. The Labrador is playful, funny, and easy to be around. They love spending time with their family and get so attached, that they cannot live without their humans. Known as easily sociable and hardworking dogs, the Lab can even lick your feet at all times. That is how much he loves you and loves being around you. This Hungarian native dog is little known in the Western world. Originally bred to guard livestock, the Kuvasz has become a great house and family pet in recent years. They are an intelligent breed. But what makes them ideal family pets is their clownish nature and sense of humor. You can and should expect some aloofness of the Kuvasz. At the end of the day, they are loyal pets who appreciate every second of the attention you give to them. Because of their large size, you can also use the Kuvasz as a great guard dog. Fun fact: some boxer puppies are born white. 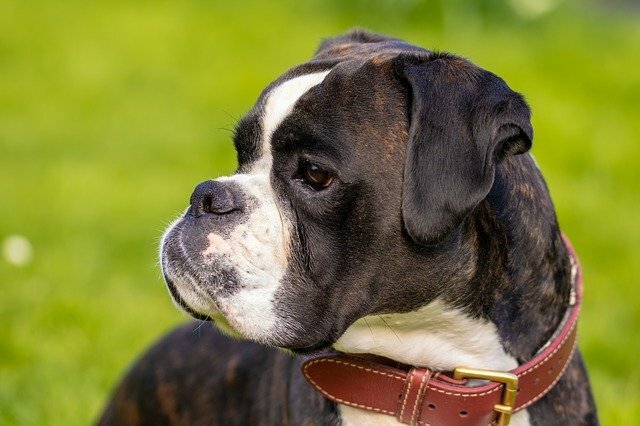 Boxers are characterized as playful, loyal companions, who also make great guard dogs. Do not let their size fool you. They are clownish dogs that love to play with their humans. The boxer enjoys getting plenty of exercises. While they are large, they are awesome with children. The boxer is very patient with little children, perfectly aware of his size. In the same time, he is protective and does not let anything or anyone hurt his little friends. The boxer forms a true and real bond with his family. While they were used in dog fights, the boxer does not have an aggressive tendency in his nature. Described as an enthusiastic worker, Brittany would love to do whatever job you give to him. 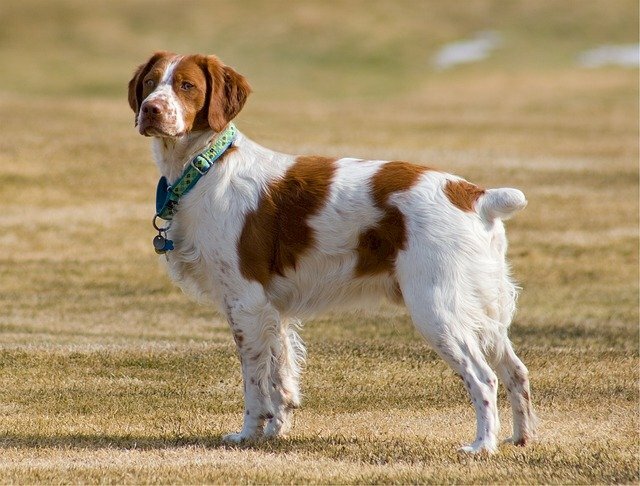 Some experts refer to them as spaniels, but they are closer to pointers and setters in personality. A hunting dog breed, they were originally bred for bird hunting. They are easy to train and sensitive in nature. Because of their lovable nature, Brittany is popular as a family companion. You might think of the Chihuahua as one of the worst dogs to have. After all, they bark at anything and everything. 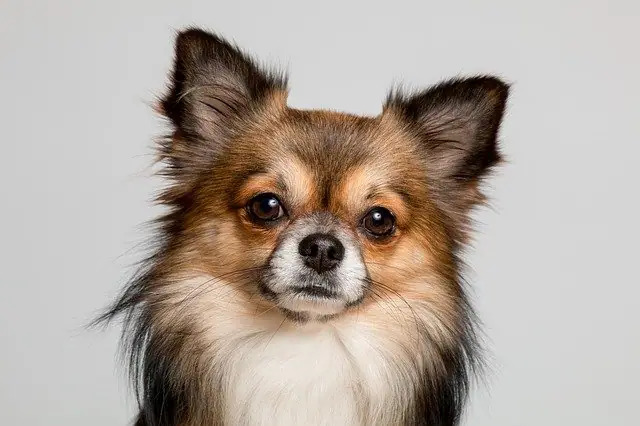 But when it comes to their family and humans, the Chihuahua is as loyal as they come. One of the reasons they bark at any stranger and dog is because they want to protect their family. The best way to describe a Chihuahua is “a tiny dog with a big personality”. The intelligent little puppy is a great and loyal companion. You can expect the Chihuahua to ask for as much attention as possible. 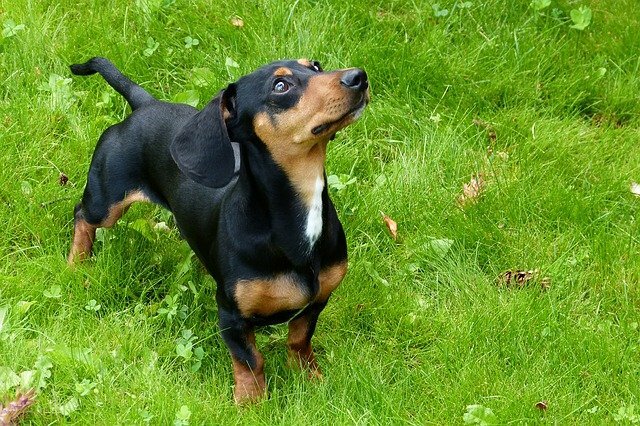 Small with a long body, the Dachshund is a dog that is very protective of his pack. They can be aggressive towards other dogs if not trained and socialized properly. But it is all because of their protective nature. You can find a number of stories about Dachshunds saving families from house fires and attacks. Originally, they were bred to hunt badgers, and they retained their curious hunting nature. The breed is also good with children. But because of their long back, they are not recommended for apartments with many steps in the home. You just cannot have a list of most loyal dogs without the Golden Retriever. 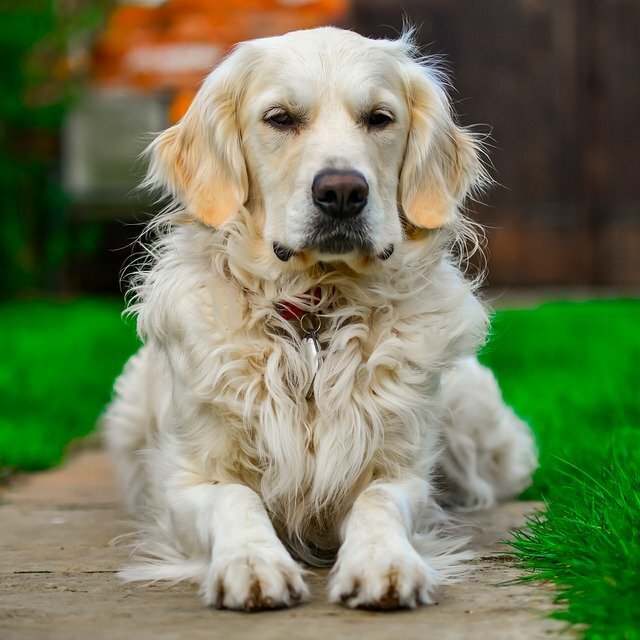 One of the most popular breeds by the American Kennel Club, the Golden Retriever will do anything for his family. Play fetch? Done. Retrieve something? Done! Play with the kids? Done. Let the kids cuddle and torture him? Of course. And he will do everything with a smile on his face. Can you ask anything more out of your puppy? 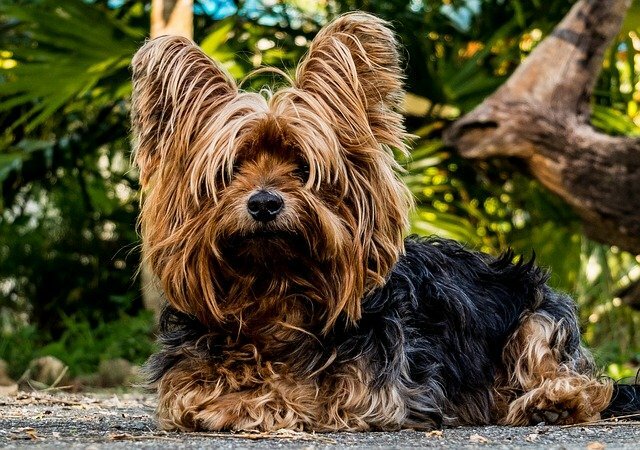 The Yorkshire terrier was originally bred to hunt and chase rodents. He might be one of the smallest most loyal dogs, but he is also one of the mightiest. The Yorkie will get attached to his owner quickly, and often becomes skeptical of strangers. 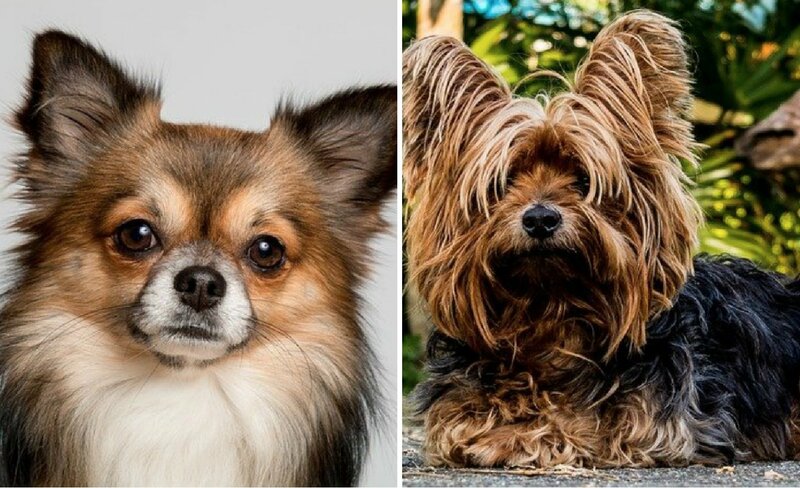 Being that they are a terrier breed, Yorkies can be stubborn and self-minded. But they will follow you anywhere you go. It is a shame that this dog has received so bad reputation lately. 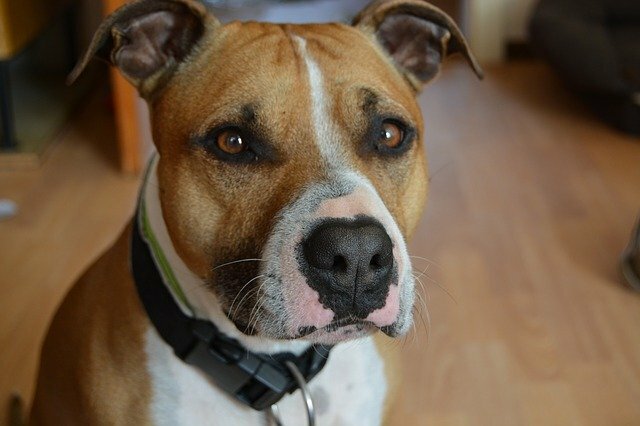 In the past several years, the American Staffordshire terrier has been often picked up as a fighting dog. One of the reasons? They will do whatever they are told. Yes, humans exploit their obedience and willingness to please at any cost. Be a responsible owner, pick up an American Staffordshire terrier, and enjoy his fun and loving nature.